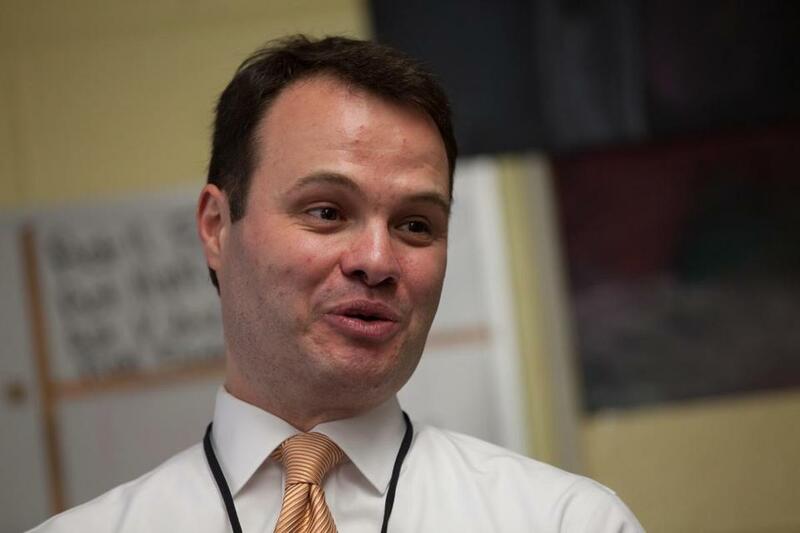 State Senator Eric Lesser is taking another swing at anti-patent troll legislation. Can Eric Lesser finally become the Troll Slayer of Beacon Hill? The state senator came close to earning this honor last summer by guiding a bill to the finish line that would crack down on “patent trolls” — only to watch it die with a swipe of Governor Charlie Baker’s proverbial veto pen. Now, Lesser is back in the ring to take another swing. He just submitted anti-troll legislation, in time for Friday’s bill-filing deadline for the new two-year session, as he resumes a legislative fight against people who use patent demand letters to bully tech firms large and small into paying up. Baker vetoed Lesser’s troll takedown measure in August, while keeping intact the broader economic development bill where it was tucked. The governor wanted the Legislature to craft a more focused solution, to address concerns about how the bill might affect the ways legitimate patent holders can defend their intellectual property. Powerful business groups such as Associated Industries of Massachusetts, the Massachusetts Business Roundtable, and the Massachusetts Biotechnology Council had lined up in opposition. This time around, his chief ally in the House will be Representative Lori Ehrlich, who knows a thing or two about the tug of war between the Startup World and Big Business. For years, Ehrlich pursued what once seemed like an uphill battle to put some controls on the use of noncompete agreements. The VCs hate them, but many legacy companies still use them. (They’re verboten in California, our biggest tech rival.) Finally, a compromise version became law last year — via the same economic development bill that included Lesser’s patent-troll measure. The anti-troll legislation essentially would require nonpracticing entities to take a number of extra steps before sending out one of these patent assertion letters. The bill also would create new financial penalties for those found by the courts to be bad actors. The primary controversy revolves around who would be protected from Lesser’s Troll Net. MassBio and its national counterpart, for example, expressed concerns about how a broad carve-out was omitted from the legislation that went to Baker’s desk, one that more clearly would exempt research universities and life sciences companies. Lesser still stands by the one that Baker nixed. But the version Lesser filed this time around more closely resembles an earlier iteration, another compromise attempt. The final wording, of course, will get hashed out after public debate and private negotiations. The Big Business groups that opposed the measure last summer aren’t yet ready to say how they’ll respond. As co-chair of the economic development committee, Lesser was a key player in the debate last time. Although committee assignments have yet to be made for the new session, Lesser expects to press hard for the bill. Persistence, he argues, will pay off. More than 30 other states already have patent-troll protections in place. Massachusetts remains a leading state for innovation. But Lesser says these trolls pose a threat to that leadership position, one state officials shouldn’t take for granted.